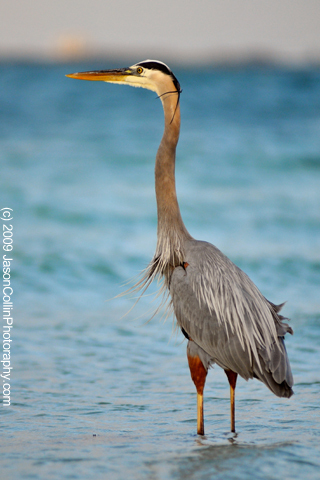 This photograph of a great blue heron was made near Sanibel Island's pier in February 2009. I am providing this iPhone wallpaper for free. It is my way of saying thank you for visiting Jason Collin Photography. 1. Right-click or control-click on the image. * Mac users: save the image to a folder or add it to your iPhoto library. * PC users: save the image in your “My Pictures” folder. * If your using a Mac, choose iPhoto or your Pictures folder. * If you’re using a PC, choose My Pictures folder. 3. Choose Folder, then choose any folder on your computer that has images. 4. Choose “All photos,” or choose “Selected folders” or “Selected albums” and choose the folders or albums you want to sync. 5. Launch the Photos app. Browse through the albums or Camera Roll until you find the picture you wish to use. 6. Select the picture so it is displayed full screen. 7. Tap the icon in the lower left corner of the screen. If you don’t see the icon, single tap the picture to display the menus. 8. A menu pops up with three options: Email Photo, Use as Wallpaper, or Assign to Contact. 9. Choose “Use as Wallpaper"
Thanks to Photo Focus and Scott Bourne for the directions above.